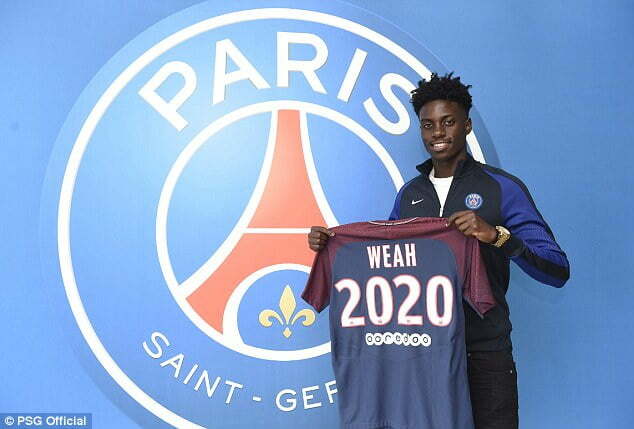 professional contract with Paris Saint-Germain. the Ligue 1 club, before moving to AC Milan. Timothy has signed a three-year deal up until 2020.
for the first team,” he told the club’s official website. Timothy joined PSG’s academy in 2014 and has featured for both the U-15s and U-19s.